Putting. Intrinsic to lower scores, too often the bane of our sport. The putter is by far the most used club in our bag, and the one that receives most abuse, but master its art and watch your handicap shrink. With revolutionary technology and fancy head designs, different faces and varying offset, it has never been easier to avoid that dreaded three-putt. But as the late Seve Ballesteros once said, "to putt well, like anything in life, you need to understand the basics." There are three main types of putter head design: blade, peripheral-weighted and mallet. Blade putters traditionally suit players with straight putting strokes. They typically favour hard, fast greens and require more of a delicate touch. Peripheral-weighted putters (or heel-toe weighted) are the natural evolution of blade putters. While still delicate to use, they are longer and thinner than blades at address and feature additional weight in the heel and toe for greater forgiveness. Mallet putters are the most forgiving putters as their deep head designs give them a lower and deeper centre of gravity to improve performance on off-centre hits. They also employ various alignment aids and shapes on the head. There are typically two types of putter: face balanced and toe balanced. When balancing the shaft of a face-balanced putter on your finger, the face will face upwards to the sky. With the centre of gravity directly below the shaft axis, this means the putter will open less on the backswing and close less on the follow-through - perfect for someone with a straight-back-straight-through putting stroke. When balancing the shaft of a toe-balanced putter on your finger, the toe will point to the ground. With the centre of gravity not directly below the axis of the shaft axis, this means the putter will be more inclined to open and close throughout the stroke - perfect for someone with an arc in their putting stroke. "Arcing" means the player will tend to rotate the putter head open (as in the full swing), and then return it to square at impact. After impact, it will move back to the inside and then begin to close. There are three different types of faces on putters: metal faced, insert faced and groove faced. 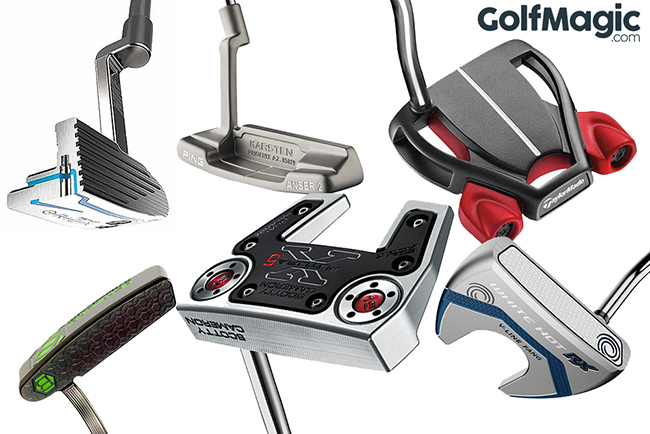 Metal-faced putters include materials such as steel, bronze, aluminium, brass, copper, zinc and titanium. These putters are perfect for players who want a firm, yet controlled feel off the face. They will often sound softer as there is less material contact at impact. 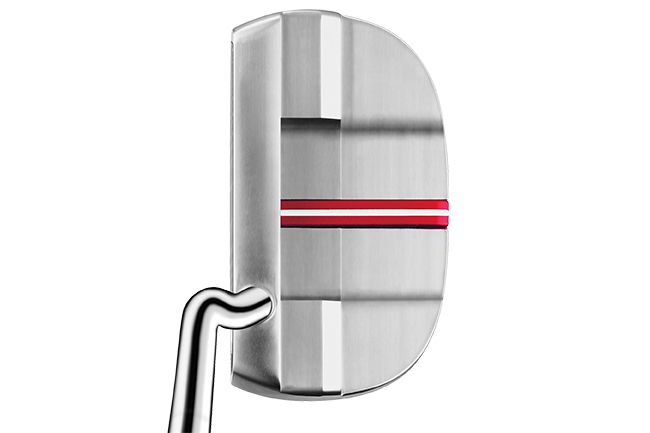 Insert-faced putters have a light-weight non-metal insert on the face. The main advantage is the weight of the putter can be redistributed and added to the heel and toe of the putter, offering more forgiveness. Insert putters tend to provide a softer feel and are perfect if you prefer a firmer cover ball. Groove-faced putters can either be metal-faced or insert-faced putters, but feature grooves on the face to help the player keep the ball on line. At impact, the grooves grip the surface of the ball and simultaneously lift the ball out of its resting position and impart an over-the-top rolling action. The majority of putters will feature steel shafts to provide a stronger, more consistent feel on the greens. Where the shaft meets the putter head is the hosel. There are three types of putter shaft position: heel, centred and hosel offset. 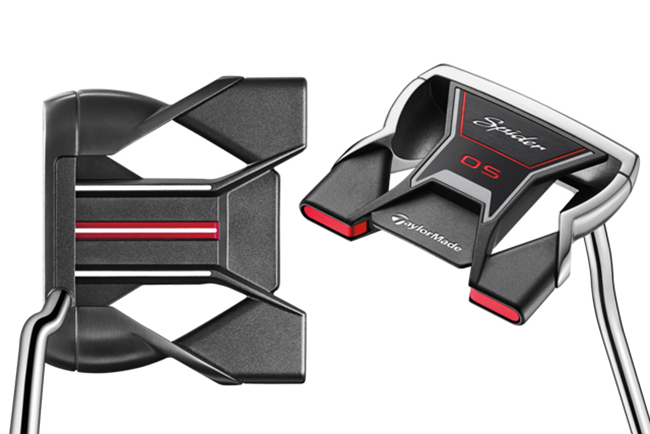 Heel-shafted putters feature a hosel that connects directly with the putter head on the end nearest the player - the heel. 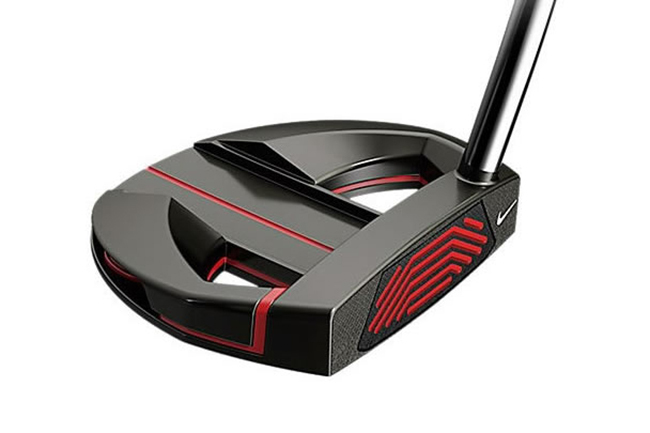 Centre-shafted putters feature a hosel that connects to the head in the centre of the head. This putter suits a player who keeps their eyes directly above the ball, takes the club straight back and swings straight through the ball. Hosel-offset putters feature a hosel that bends backwards to move the bottom of the shaft ahead of the face of the putter to draw a player's hands ahead of the ball through impact. Finding the correct length of putter for the player is key to improving the quality of stroke, consistency and confidence. Ideally, your hands and arms should hang naturally when about to putt. Putter length is measured from the sole of the putter below the hosel to the top of the shaft. The rules state that a putter shaft must be at least 18 inches long, but currently there is no maximum limit. There are typically now just two different shaft lengths when it comes to putters: traditional and long (providing not anchored to the body - it can be used against the arm, however). However, as of 1 January 2016, all putting methods requiring anchoring the club to the body, such as the belly putter and broom putter, became outlawed. Traditional-length putters typically range from 32 to 36 inches and are the most common length of putter in the game today. Arm-lock putters allow the golfer to place the putter handle up the inside of their forearm with the ball positioned in the centre of their stance. It is a great stroke for players who have a tendency to break the wrists through the stroke. The lie of a putter is the angle between the sole and the putter shaft, typically 70 degrees. It is very difficult to putt with any consistency if the lie is more than a couple of degrees out. When taking your normal putting stance, the sole of the putter should lie flat to the green. If the heel or toe snags the ground at impact, the putter head will twist and cause the face to turn. Often overlooked in putter selection, a little loft to the face helps lift the ball from where it has settled in the green. Typically, you will find a loft on a putter of about two to four degrees. Over the last 100 years, the loft on putters has gradually reduced with smoother surfaces due to improved maintenance. Once putted, the ball will likely skid for the first 15% of its travel before the friction from the ground causes it to roll. Moment of inertia is the clubhead's resistance to twisting when the face hits the ball. The higher the MOI, the more resistant it will be to twisting when the player misses the sweet spot of the face. A heavier putter will also affect the MOI - in the case of our example in the image above, mass has been removed from the centre of the putter and been redistributed at the heel and the toe to increase the MOI. Every putter has a sweet spot, but it is not always in the centre of the face. Striking a putt on the sweet spot is key to putting well. The sweet spot may be marked by the manufacturer, but if not, the player can check where it is by holding the putter off the ground and using a tee or a key to tap the face and listening for the sound. The grip is the only part of the putter with which you have contact and therefore has a major influence on how it feels. Putter grips are available in different thickness, shape, weight, length and materials. Essentially, the lighter the grip is, the heavier the putter will feel, and vice versa. Firm grips will provide more feedback as less of the impact is absorbed, while soft grips will tend to enhance feel and rhythm but may present less feedback. Long grips give the player greater options as to where they want to hold the club. These grips can also be used to re-distribute the putter's weight. Thicker grips have become increasingly popular in the game as they reduce the influence of the player's fingers and wrists, allowing more of a rocking movement with the shoulders, all but eliminating wrist movement from the stroke.